What is an Allergy Specialist? See a Tucson Allergist today! An otolaryngology Allergist is an individual who specializes in the management of nasal inflammation, asthma, and food induced reactions. They are able to perform diagnostic endoscopy as well as sinus and nasal surgery. Listed as the 5th leading chronic disease in the U.S., allergies are incurable, only manageable with various forms of prevention and treatment 1. Since allergies are heavily prevalent and have been steadily increasing over the years, one would expect a high number of physicians to be trained in diagnosing and assessing the chronic disease. In reality, “it can be hard to tell the difference between allergies and other conditions like a cold. And unfortunately, many primary care physicians aren’t trained at all in allergies,” says Dr. Michael Foggs. Foggs is a board member of the American College of Allergy, Asthma and Immunology, and past chair of the Managed Care and Health Plans Committee. Fear not, after this you will be well on your way to understanding the various symptoms associated with allergies and who to seek out for assistance! Generally speaking, trips to the doctor are unfortunate and often met with dismay, but a chronic disease like allergies is no laughing matter. 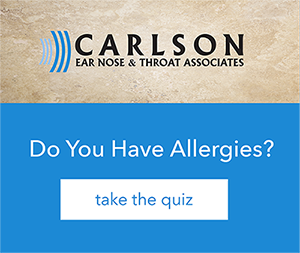 Although they may seem harmless to most, allergens are able to cause a host of chronic issues, such as sinusitis, congestion, as well as breathing problems. Luckily, with today’s medicine, there is a wide assortment of options at your disposal to manage allergies. The most common form of relief comes from antihistamines, which thwart the occurrence of symptoms by preventing histamines, a chemical neurotransmitter from attaching to cells within the body, or through over-the-counter (OTC) medicine. In most cases antihistamines and over the counter (OTC) products are effective enough to soothe all the symptoms caused by allergies. Prolonged exposure to allergens can lead to side effects such as increased discomfort or infection, and if left untreated can lead to lung damage, which ultimately can affect the quality of your life. So it begs the question, why should you see a specialist? If the aforementioned information has not provided you with enough incentive to consider seeking out the assistance of an expert in the field, understanding the benefits may curb your opinion. It should go without saying that a specialized physician has the skillset to diagnose and treat specific conditions. In the case of an otolaryngology Allergist, they are able to provide comprehensive allergy testing, prevention education, medication prescriptions, immunotherapy (allergy shots), sublingual therapy, as well as nasal and sinus endoscopies and surgeries. Allergy specialists, although few and far between, provide a comprehensive set of offerings that can help to manage your symptoms, and allow you to live your life with a breath of fresh air. Need to see a specialist? Come see a Tucson Allergist today!